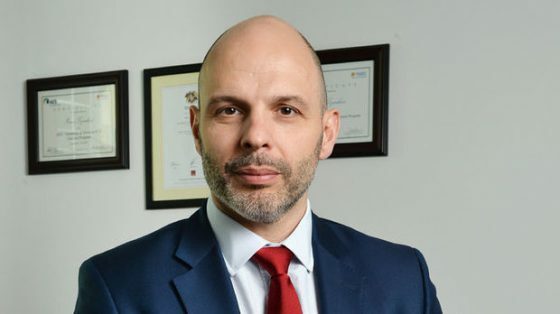 What is to manage the business of one of the biggest foreign investors in Bulgaria, such as AES? AES Bulgaria is indeed the biggest investor in Bulgaria’s energy sector and is the owner of the most advanced power generation facilities – TPP AES Galabovo and Saint Nikola Wind Farm. The company guarantees the energy security of the country, and is one of the main factors for its energy independence as it uses only local lignite, mined at Mines Maritza East. All these factors make managing this business an enchanting but also a challenging and demanding task. I accept it as both a challenge and a great pleasure. Work is very dynamic and there are days when we focus on tasks that are very different in nature. This dynamics is extremely challenging. It allows me to gain experience in various areas, to hear the opinion of people who have worked for years in a particular direction and can give a lot – both skills and experience. Did you switch easily from accounting and finance to energy? At first glance, the two sectors do not have much in common. No business can exist without accounting and finance, so my previous background in these areas provided me with a solid foundation and experience in dealing with current challenges. But experience gained in practice is what matters most as it is the result of real-life situations and problems that I have had to deal with. I have been part of AES’ team for 13 years, so I am no longer new to energy. Prior to joining the company, I used to work in this area but for a Bulgarian company that traded with fuels. Should a manager necessarily have a business education to be good at work? I don’t think it’s a must. There are many successful professionals and entrepreneurs who have not necessarily studied business disciplines. Yet, such training helps a lot. Business training gives direction of thinking, which is essential in running and managing the business, ensuring the sustainability of the company, and hence of its customers. Energy is an extremely capital-intensive sector. Our facilities require huge investments to be built in a way that meets the strictest international requirements. Therefore, I always say with pride that TPP AES Galabovo and St. Nikola Wind Farm are among the jewels in the crown of the Bulgarian energy industry – the most advanced and flexible facilities that greatly modernized the energy system. Primarily, their operation depends on the high professionalism of the people working in them and our suppliers. However, in order for this process to be smooth, it is also necessary to understand its economic logic. That is why, business education would help a lot. For me as a professional, it is extremely helpful that I have been on various financial positions, which taught me to see beyond the figures. It feels nice to know that with your work you contribute to your country’s daily improvement and guarantee its economic growth. Tell us about a difficult decision you had to make in your previous career. There are no difficult and easy decisions for me. There are solutions that are more correct than others, as the future shows. But even the wrong decision is better than no decision at all. Some solutions may be harder than others because they affect people – with different needs, views and expectations. The justification of these expectations, the adequate explanation of these decisions, to be understood and accepted, is the measure of their success. What is the team that your manage and have you had problems in finding qualified employees? The company employs over 500 highly-qualified Bulgarian experts, who use energy and skills every day. We carefully select the employees we need, to be sure we really work with the best. However, we do not only rely on our reputation as a good employer, but we are actively working for our employees’ improvement to be able to occupy different positions in our projects. Last year, together with our colleagues from the other thermal power plants of the Maritza East complex, we supported the initiative of the Technical University for the creation of a Master’s program in Thermal Power Engineering in Stara Zagora, that is aimed at people who already have an MA in Engineering and would like to upgrade their knowledge and gain a qualification in thermal power enegineering. This is how we provide highly-qualified specialists where they are most needed – in the energy capital of Bulgaria – Stara Zagora. What were the main challenges in this work when you started, and what are they now? I don’t like the word ‘challenges’. I’d rather use opportunities, as to me, they mean the same – ensuring security of the electricity production and working for the development of the Bulgarian energy system. It is not a task, it is a process, a path we follow in the long run. Our sector is very dynamic in terms of development. In recent years, I have been working with the teams of the Energy Ministry, the Ministry of Ecology, BEH, NEK, EWRC, the parliamentary Energy Commission, and I accept their vision for the development of the energy sector as adequate and correct. Their consistent policy – the stability and predictability of the sector and its environment, the security of supply and the diversification of energy sources, are priorities in which I also believe. There are a lot of changes in the energy sector, mainly because of the country’s commitments to the EU. What are your expectations? Not only in the European Union, but worldwide, there is a strong trend towards increasing the share of renewables in the energy mix. In its energy development guidelines, by 2030, the EU has set targets for reducing greenhouse gases by 40% compared to 1990 levels, increasing the RES share to 27% of total power generation and improving energy efficiency again with 27%. These objectives clearly show the rapid pace of development and changes that occur in the energy sphere. At the same time, account must be taken of the specificities of each country. In Bulgaria, the share of energy produced on fossil fuels is 40%. It is obvious that this production cannot be completely replaced within 10 years and it will continue to be the backbone of Bulgaria’s energy in the foreseeable future. Our thermal power plant – AES Galabovo, is the latest and most advanced capacity in the country and is an example of modern coal-fired power generation. AES operates a coal-fired power plant and a large wind farm in Bulgaria. Is it hard to defend the interests of both conventional and renewable energy at the same time? I think it’s wrong to oppose both of them. As I already said, renewable energy is undoubtedly the future of energy. However, in the transition to it, security of supply must be ensured and this is the role of conventional production, such as the thermal power plants. Wind and sun are intermittent as energy sources and cannot, at least for the time being, be the basis of the entire energy system. Do you think that achieving the new RES targets can happen on a purely market-based principle, with no preferential prices and PPAs, as the state demands? Yes, I think this is completely realistic. We see trends in this regard worldwide: decreasing investment costs for RES, which leads to the realization of RES projects on a purely market principle in many European countries and in the world. But this transition could not be done overnight. It takes time for this to happen. In this transition period, however, it is very important to ensure the security of the electricity supply. And here comes the role of facilities such as our 690-megawatt coal-fired power plant – TPP AES Galabovo, which is crucial for Bulgaria for the provision of electricity and the stability of the energy system in the medium term. Energy storage technologies have been rapidly developing recently and your company is investing in this area. AES is a world leader in this area and, together with Siemens, we created a joint venture which offers Fluence energy storage systems, that not only can regulate grid load but also provide a flexible solution for covering peak loads in short intervals of time. This ensures reliability and saves costs for building a grid to take over that load that is time-bound. When will Bulgaria be able to use these solutions? The latest project we inaugurated in February this year is in Delhi, India. This innovative solution is fully available and can also be applied in Bulgaria. We are ready to offer it as long as there is an interest in it. I am sure that energy storage is at the core of the future of our industry, so it is likely that companies in our country will soon be interested in it. If you could go back, would you change anything in your career? No, I won’t. I am proud of the achievements of the companies I have worked for, and of my contribution to these achievements. Although I still dream of being a Formula One driver or heavy metal guitarist, it’s never too late to pursue my dreams, isn’t it? Do you have balance between work and your personal time? I’m trying, even though I have not succeeded completely. In my opinion, there are job positions for which it is simply unrealistic to be totally excluded from the work process for a certain time. And it is not necessary. It’s all a matter of striving for a better personal time management: no emails and conference calls after work (unless it’s really necessary), checking the most urgent tasks only once a day during leave, etc. In this way, the mind is allowed a better rest, and it is not totally excluded from the most important things at work. I’ve made this a habit, for example, only by scanning the senders or the subject of the emails to figure out which ones to open and who can wait to get back to the office. I start every day with playing sports – swimming, jogging or going to the gym. I am convinced that only in this way I can balance work stress, which is considerable. But my greatest priority is my family, so my free time is always set to be with them. It relaxes me most, and my kids are growing up and I realize there will be a time when, as long as I have free time, I will not always be with them. So, in other words, I am currently piling emotions and enjoying every moment spent with them. What devices do you use at work and leisure? The usual ones for the contemporary people: a mobile phone and a computer. In my spare time, however, I try not to use any devices. And I definitely prefer print book to the electronic one. The company AES Bulgaria is part of the American corporation AES, the largest investor in Bulgaria’s energy sector for the last 30 years. With investment exceeding BGN 2.6 billion, the 690-megawatt TPP AES Galabovo is the latest and most hi-tech coal-fired power plant of its class in Southeastern Europe. The company is also a major shareholder in the biggest wind farm in Bulgaria – the 156-megawatt St. Nikola Wind Farm near Kavarna.